Thiruvananthapuram, April 16: Anil Antony, son of former Defence Minister A.K. Antony, on Tuesday said he will be managing the Wayanad-specific Twitter account of Congress President Rahul Gandhi. The Twitter handle, according to Anil, would cater to the needs of the Kerala media and announce programmes. 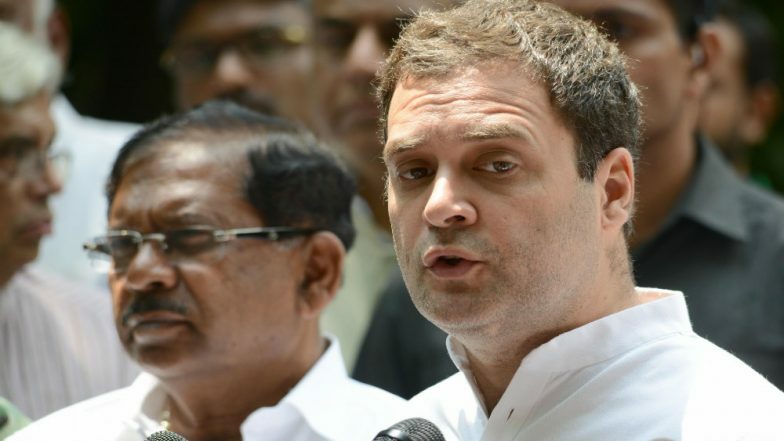 Congress 'Nyay' Minimum Income Guarantee Scheme Funds to Come From Mehul Choksi, Nirav Modi, Vijay Mallya Pockets, Says Rahul Gandhi.